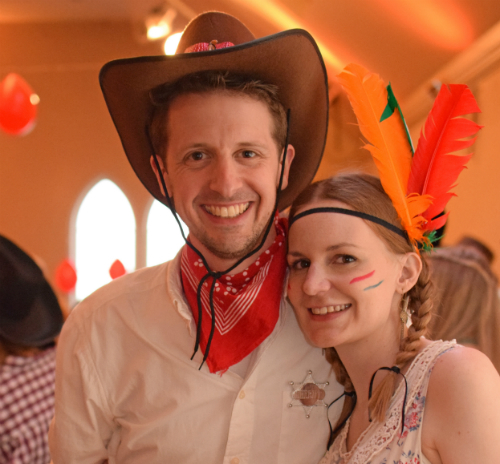 We went to a wild wild west birthday party. How do you vote when "None of the above" seems like the most honest option? Andrew Wilson has a sensible suggestion. One of my favourite bloggers and tweeters is Ray Ortlund so I'd suggest that his perspective on speaking online is worth listening to (although the Unsubscribe function on Facebook undermines his first point somewhat). Writing in 1905, G.K. Chesterton has an excellent challenge for people considering gap years. If you think that children are worthy of love and respect, you've possibly got Christianity to thank for that, claims Pascal-Emmanuel Gobry. If you've got lots of digital photos you might want some advice on where to store them. Casey Newton gives the low-down on the best contenders. The secrets behind many movie sound effects are revealed by Owen Williams.